Getting your car sold can be a nightmare or a breeze, depending on the approach that you use. Whether you plan on selling your vehicle the old fashion way, or you plan on giving a car removal company a call will depend on the process of the sale. Car removal companies like Metro Car Removal offer an instant way to sell your vehicle, paying cash on the day they remove the vehicle. 1. Give us a call at 02 8677 8260. Our vehicle appraisers also offer quotes over the phone. Our vehicle appraisers’ offer cash quotes on all make and models of a vehicle no matter what their condition. We do request that you be as descriptive as possible when providing us with the condition of your vehicle to ensure a fair cash offer. 3. Accept or reject our offer. Once we receive your description, we will provide you with a fair cash offer for your vehicle. Should you accept, we then move to step 4. 4. Schedule a free car removal. Metro Car Removals offers free car removals to any suburb in Sydney. 5. Remove the plates from your vehicle. Gather your title of ownership (if you are no longer in possession of your title, please let our vehicle appraiser know this at the time of your call, so that they can offer other options), gather your Photo ID. 6. Have your vehicle in an area where our car removal specialists can easily inspect and remove the vehicle. We buy any condition of a vehicle and pay up to $7000 cash. 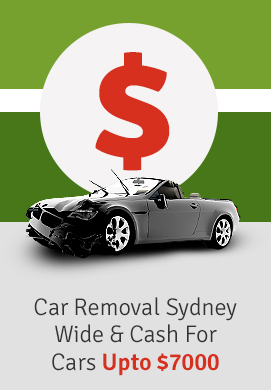 For the best auto buyers, as well as the best wreckers in Sydney, give Metro Car Removal a call and get a cash for cars offer up to $7000 on your unwanted car, truck, van, SUV, ute, commercial van, 4×4, bike or any other type of vehicle.